A place where your opinion matters! So I would like to give you a place where you can share your opinion and give me an idea of the genres you like, dislike or may want to see more of and do it in an easy way without fear of hurting my feelings. 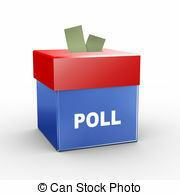 Just browse through the Polls and/or surveys and easily make your choices. It can influence future books so your opinion matters here. Thank you for participating!